If your office chair is starting to chafe and the watercooler conversations are numbing your brain, that’s a strong sign you need a getaway. We suggest getting back to nature and the simple things in life – think good food, bushwalks, hiking, bird watching and exploring. One of the best ways to slow down and see it all is with a good old-fashioned roadtrip, and what better destination than the breathtaking Bunya Mountains? If you’re going to do this roadtrip, you’ve got to do it right – with all of the stunning spots along the way. We’ve crafted the great Bunya drive to take you through the coolest towns there and back, picking out some hidden gems that are well worth exploring. One of the best parts of roadtrips is detouring through towns you might not have ever heard of, and the journey to the Bunyas is studded with cool spots to stop. If you’re keen to take the road less travelled, we would recommend going via Jondaryan and Dalby on your way to the mountains.Your first stop on the tour should be the Woolshed at Jondaryan, a stunning heritage-listed space with more than 150 years of history behind it. Take a self-guided tour through the historic museum village and get a taste of a different way of life. All that history can make a person peckish, so stop in at the Urban Paddock Cafe in Dalby as you head further west – this adorable heritage home is pretty as a picture and serves up hearty, nourishing fare. 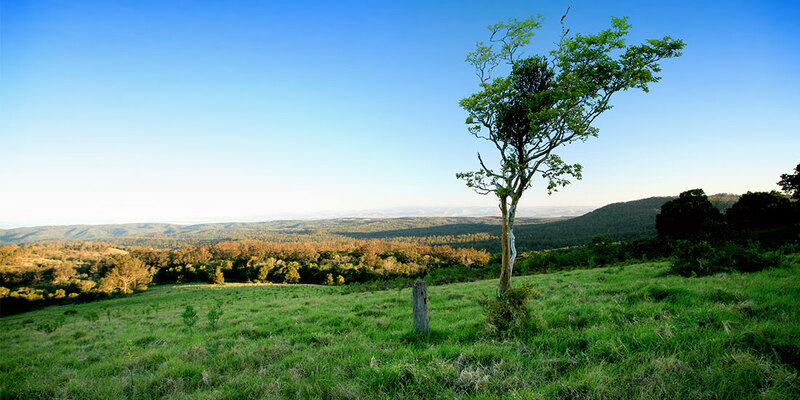 The Bunya Mountains form part of the Great Dividing Range, an iconic geographical landmark in southern Queensland. The peaks climb to heights of more than 1100 metres, creating vibrant ecosystems in the gullies and along the slopes. The Bunya Mountains National Park shelters the world’s largest grouping of bunya pines, an ancient tree that yields an abundance of bunya nuts. The national park is crisscrossed with walking tracks and dotted with picnic spots and campgrounds, perfect for living out all of your Fern Gully fantasies. 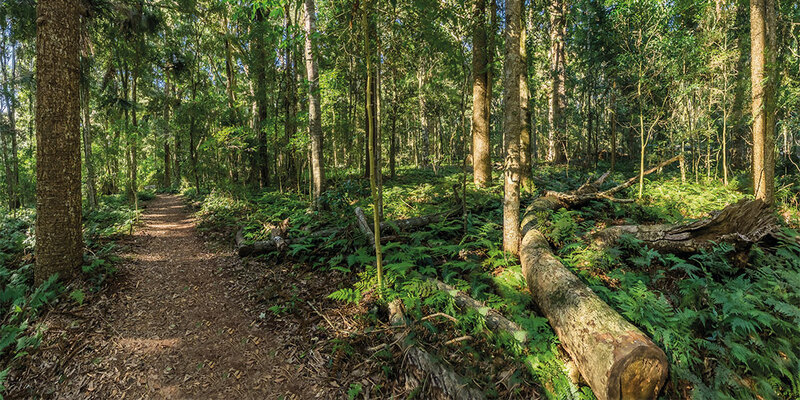 You’ll want to rest your bones after a day of exploring, and the Bunya Mountains has plenty of options depending on your vibe. 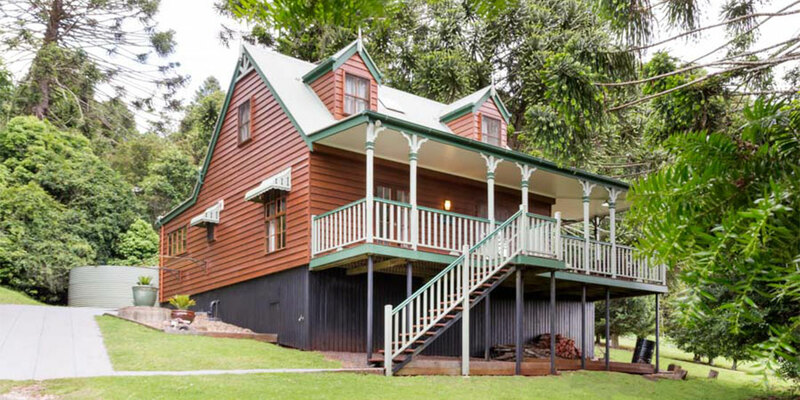 Whether you’re travelling with a bigger crew or going for an intimate getaway, the Bunya Mountains Accommodation Centre can sort you out with anything from chalets to smaller abodes all spread out in scenic locations. The Bunyas is another great place to consider, offering two different types of accommodation – the Bunya Avenue Chalets are great for groups who want to hang together but still have some privacy, while the Dandabah Getaway Units are ideal for couples. 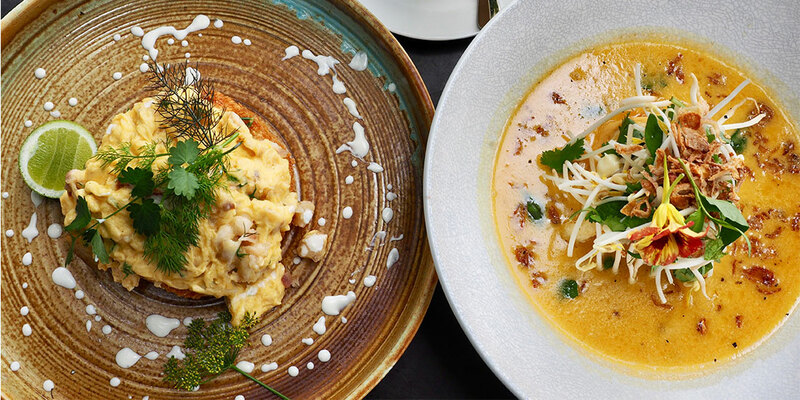 If you are feeling peckish, The Bunyas boasts two eateries to sample from. 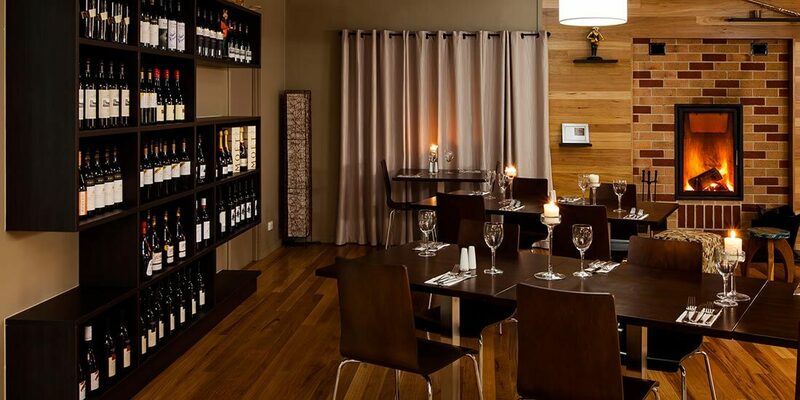 The Bunyas Coffee Shop & Tavern is a fabulous all-rounder open for breakfast, lunch and dinner, featuring three separate and equally beautiful areas to dine. The menu also features the native bunya nut throughout – think chicken bunya nut salad and bunya nut teacake with cream. You can also fill your belly at Poppies on the Hill Cafe, a cute spot that serves up fare made from fresh, local ingredients. Perch inside the spacious venue overlooking the rainforest or take a seat outside and hang out with the native wildlife. The journey home from the Bunya Mountains takes drivers through some of the most picturesque landscape in southern Queensland. If you aren’t strapped for time, make a stop in Crows Nest, which boasts a bounty of sights to see and things to do. Works from local painters, sculptors and photographers fill the Crows Nest Regional Art Gallery, while Roger Salt Antique Specialist boasts shelves of vintage goods and bric-a-brac to browse. Satiate your thirst with a trip to Holland Wines, then grab a quick bite at The Nest Cafe before venturing east to the Crows Nest National Park where you can explore eucalypt forests, imposing granite outcrops and Crows Nest Falls, which is a haven for native birds. The park also provides a breathtaking view of the Valley of Diamonds, so be sure to seek it out and drink it in. Olives tend to be a love/hate thing, but here at The Weekend Edition it’s more than love. 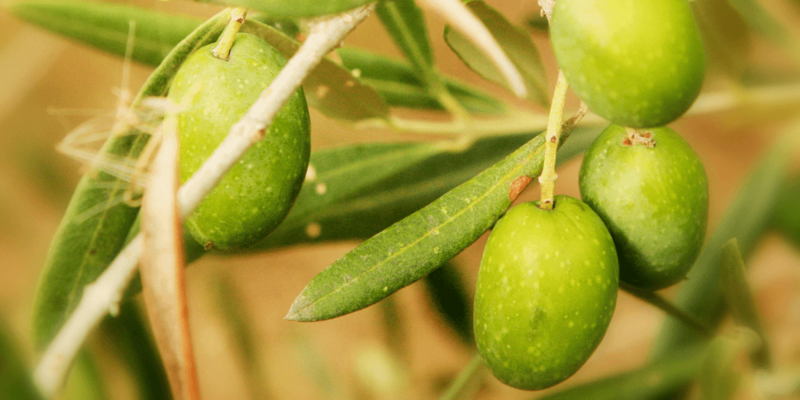 Not far from Crows Nest sits Bunnyconnellen – one of the best spots in the state for sourcing sumptuous mouth-watering olives. Not only can you purchase jars of table olives to snack on throughout your trip, but you can also stock up on tapenade, vinegar, extra-virgin olive oil and wine from Bunnyconnellen’s cellar door. Should you wish to linger a while, you can stay the night in the adorable surrounds of The Studio B&B. Seeing as you’re in the area, make the effort to swing by Hampton – you won’t be disappointed. This picturesque village is the heart of the high country, surrounded by forests and loads of natural beauty. Its soil and climate make it one of Queensland’s most amazing food sources, which you can sample the likes of at Emeraude. The cafe uses local produce from all around the region including Half Moon Farm vegetables, 9Dorf Farm chickens, Sutton’s Farm apples and Hampton blueberries. If you happen to be in town in May, be sure to hit up the Hampton Festival – this food and produce extravaganza brings the region’s best food vendors together with stalls stocking artisan goods, all with a side of live and local entertainment. The next stop on your roadtrip adventure is Ravensbourne, a prime spot to lay your head to rest for the night. There is plenty of boutique accommodation on offer depending on your whims and wants. For a truly natural experience, Stone House Retreat is a winner – this private, off-grid eco lodge operates entirely on sustainable principles and is stunning to look at. 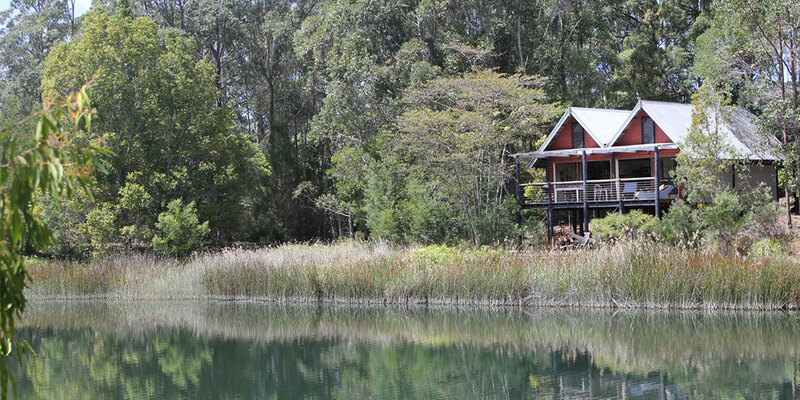 Cloudlake is one of the most stunning abodes in Queensland and the best part about it is that anyone can stay a night in one of two stunning locales overlooking the water. The Boathouse is a contemporary polehouse with decks overhanging the lake, kitchen facilities, hammock, steamer lounge and wood fire facilities. The Mother of Ducks cottage is a larger accommodation option surrounded by lush gardens full of olive trees, mulberries, kiwifruit and rhubarb. Ravensbourne Escape is a wonderful location to stay for a night or two, with plenty of accommodation for couples, groups and families overlooking Ravensbourne National Park. Hot tip: the eco-friendly lodges are pretty hard to beat for a night of total tranquillity. 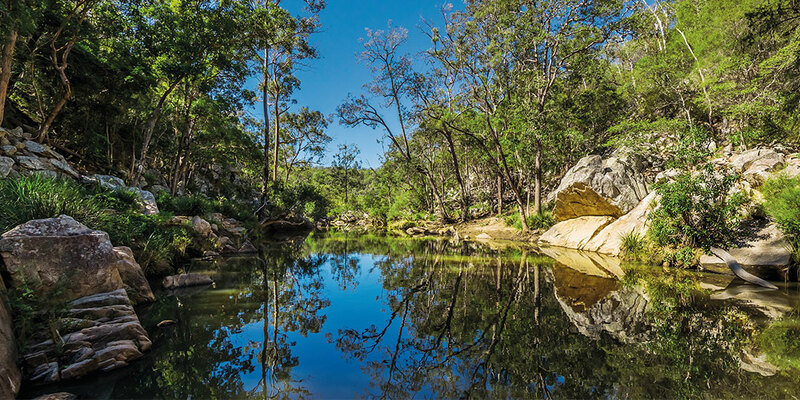 Located on a spur of the Great Dividing Range between Toowoomba and Esk, the Ravensbourne National Park is a beautifully lush expanse that is perfect if you’ve been surrounded by dull grey skyscrapers for too long. The cool rainforest and eucalypt trees shelter trickling streams and native wildlife such as the green catbird and wompoo fruit-dove. Stretch your legs at the Cedar Block day-use area that acts as a starting point for walking tracks of varying distances, or head to the Gus Beutel lookout for breathtaking views of the Scenic Rim and Lockyer Valley. When it’s time to head home, go via the charming town of Esk and stop for a stretch. The Roadtrip Series is a collaboration between The Weekend Edition and Southern Queensland Country.